Foresight Design Initiative believes fostering talent produces exponential impact over time. We are committed to providing internships that offer hands-on experience in tackling complex environmental, social, and economic challenges. Our interns are given an opportunity to play an integral part in fulfilling the organization's mission and contributing to its success. Written by 2017 Summer interns Sarrin Chethik, John Alexander, and Rick Yue Yu. You’d never believe that a Texan, Midwesterner, and Chinese student would get along so well. This year’s Foresight internship cohort was made up of a group of college students with diverse ethnic and academic backgrounds: Sarrin Chethik, an economics and law student at Northwestern University; John Harris Alexander, a sociology, environmental studies, and business student at Tulane University; and Rick Yue Yu, a Chinese engineering student in his fourth year of a dual-degree program at Columbia University and Oberlin College. All three of us had fantastic experiences interning at Foresight. We loved working with each other on challenging and engaging material. Foresight helped teach us how to take a pragmatic yet innovative approach to sustainability issues through a blend of collaborative and individual project-based work. Our collaborative work at Foresight included a response to a request for proposal (RFP) for a waste management project and a “Guide to Switching to Clean Energy,” written to help small Chicago businesses make the transition. The three of us also worked on business models and content for potential Foresight products, including an internship guide for college students. In addition to the collaborative work, we each worked on individual projects. John ran a city-wide sustainability networking series that hosted events at Patagonia, The Chicago Community Trust, USG Corporation, Elevate Energy, and other organizations all over the city. Rick helped Foresight leverage Microsoft Excel to analyze the organization's finances. Sarrin developed several lessons for Foresight Prep @ Oberlin College. Both the collaborative and the individual projects left each of us with major takeaways. We learned how to more effectively distribute workload. We also learned how to brainstorm more efficiently and write more coherently. We supported each other on a diverse array of projects, and learned from each other’s skill sets. Perhaps of greater value than anything else – we learned how to work in a collaborative environment. Foresight staff facilitated feedback sessions and fluid conversations, which gave us the time to critically analyze our own work as well as our coworkers’. All three members of the team have ambitious plans for the future. Rick has two years left of college and then plans to enter the finance industry with a focus on sustainability and utilities. John is working as a Design Thinking Fellow at the Taylor Center for Social Innovation and Design Thinking this school year. After college, John intends to combine his studies in systems and sustainability through design. 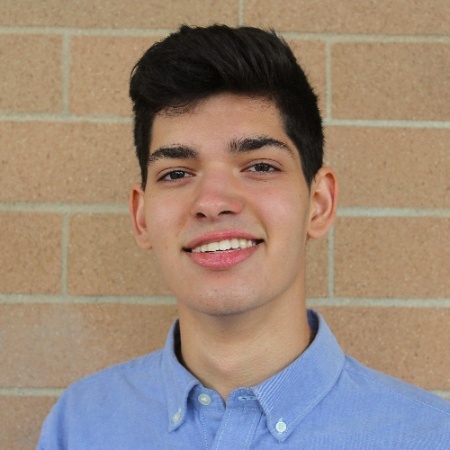 Sarrin is focusing his economics and legal studies on energy and sustainability. Sarrin imagines a career working in business at a clean tech firm or in policy at a think tank. The three of us plan on staying touch – a New Orleans trip to visit John is in the works! Interested in interning with Foresight Design Initiative? Learn more about the program and apply on our Careers & Internships page, and subscribe to the Forecast to have additional opportunities delivered weekly straight to your inbox.